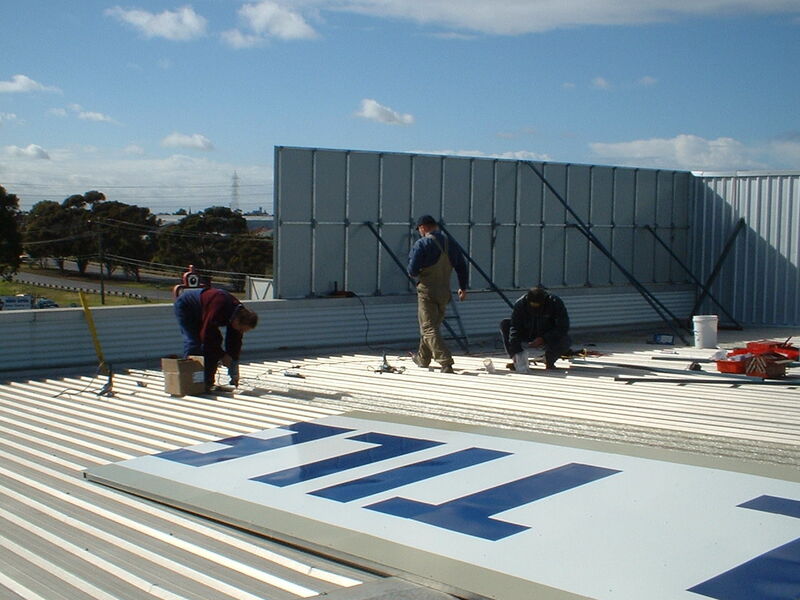 Reed Signs can not only design and manufacture your company’s signage, but we offer a professional sign installation service here in Melbourne. Our experienced installers have all of the tools and equipment necessary to handle the many different types of sign installation and are fully insured. We strictly follow all OH&S procedures as required by law and on some projects we may need to co-ordinate the signage installation with relevant planning authorities and obtain the required permits. Depending on your location we will sometimes need to work after-hours to ensure the job is completed safely and with minimal disruption to traffic. 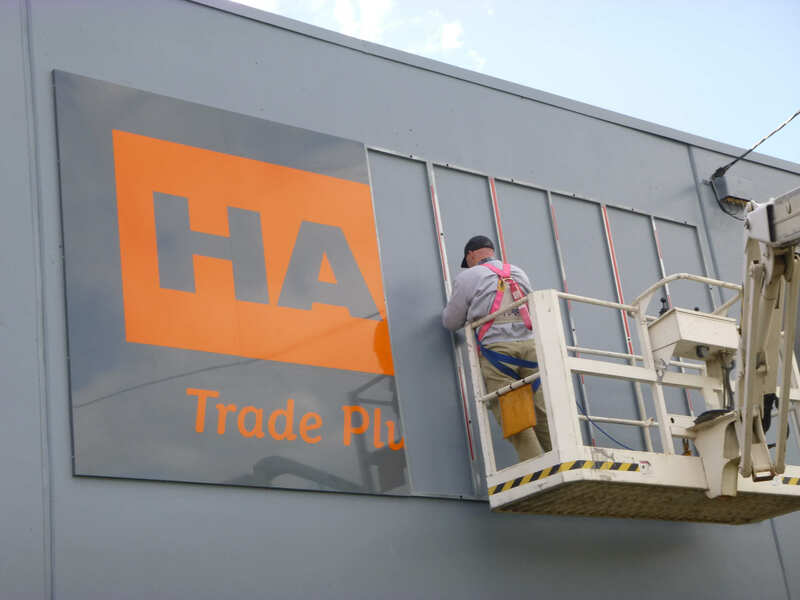 In addition to the installation of signage panels and structures, we also install self-adhesive vinyl graphics to many substrates on location across Melbourne. We install many vinyl wraps on vehicles, and members of our team have been trained and tested overseas with the Avery Certified program, achieving Certified Wrap Installer status. This means you can be assured that we have the knowledge and skill to complete your vehicle wrap installation to a high degree of precision and without any issues. Contact us today to discuss your sign installation requirements.